Azamara has a lot going for it, from overnights in cool ports to plenty of freebies and special events — like private concerts — in key cities. Plus, longer calls and more overnights allow passengers to, say, linger in Mykonos after midnight or test their luck in the Monte Carlo Casino until dawn. Azamara attracts couples who prefer medium- or small-ship cruising with a resort-casual dress code, as well as those who want to overnight in select ports, allowing for dinner ashore. 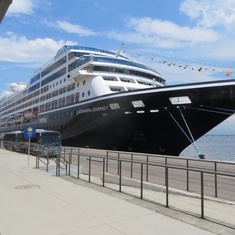 Families or intergenerational groups with teens or kids — Azamara's cabins, dining options, pool deck, and shore excursions are geared to a mature clientele. AzAmazing Evenings — complimentary nighttime events in port — include concerts, gala receptions, and after-hours museum tours. Azamara's wide array of itineraries and destinations offered each year includes voyages between four and 17 nights, visiting 240 ports in 66 countries. Complimentary house wines, beers, and spirits are served during regular bar hours — and you can upgrade to premium brands for a fee. Free bottled water and chilled towels are offered in the fitness center. 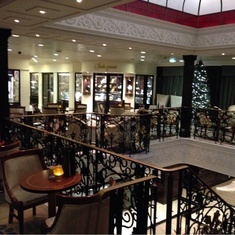 The ships’ size: Both Azamara Journey and Azamara Quest each accommodate 688 passengers, making them never feel too crowded or too quiet — and allowing access to river ports such as Seville, Spain; Bangkok; Bordeaux, France; and Shanghai. The self-service laundry and resort-casual dress code make it easy to travel light. The bathroom configurations of most Azamara staterooms are quite tight. The pool and two hot tubs are small, although lounge chairs are plentiful. Public spaces are dressed in fussy, country-club-like décor — especially the Drawing Room and Martini Bar — and include liberal use of dark brown and green marble. 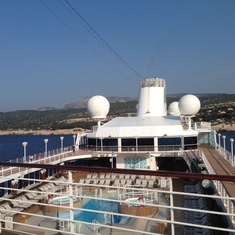 There are currently 10 discussions about Azamara Club Cruises. 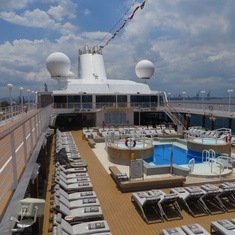 If you choose to follow Azamara Club Cruises you will receive weekly email updates with the latest reviews, tips, and photos from Cruiseline.com members about Azamara Club Cruises.